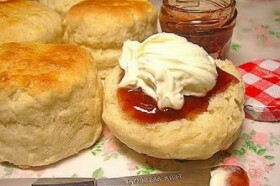 The best scones I have ever made, and I cannot stop eating them!!!. I have always made scones which I always found needed eating the same day or they would go dry and heavy, so when a friend said she liked buttermilk scones I began my search for the best recipe, this is it, unless anyone can give me a better one, which I doubt as I find these light fluffy moist and really delicious, best with strawberry jam and cream. They keep well in an air tight box for up to a week and they freeze well. You can buy buttermilk from Tesco's and most big supermarkets, once you have made these you will never go back to the others.